Thinking of shopping for diamonds in the Boston Diamond District? Read this helpful local guide for the best tips to get the perfect engagement ring. 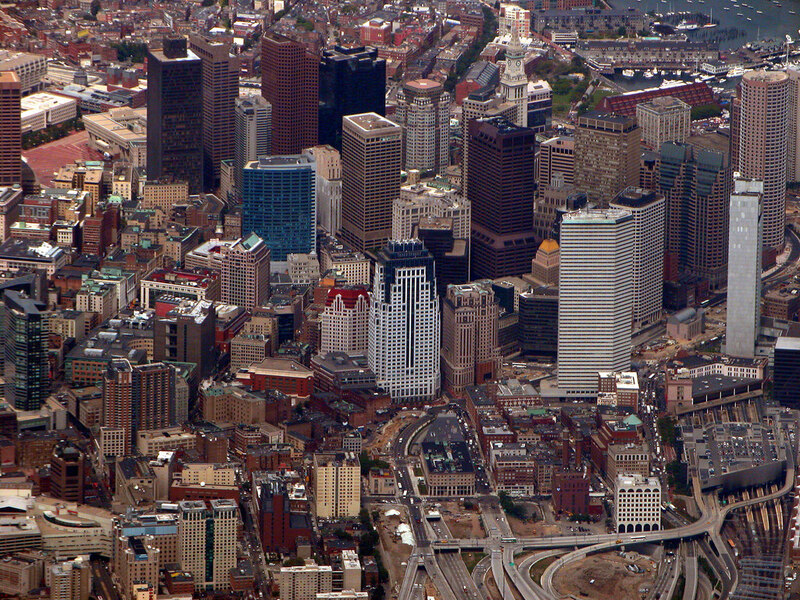 The jewelry district in Boston is not large, but it is the best in the New England area. It's right in the center of the bustling Downtown shopping area, bordered by the Financial District on the east. It’s easy to have a horrible and frustrating time here if you’re not prepared. But you can have a lovely time instead. We’re going to show you how. 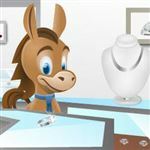 Shop for diamonds at James Allen, a CreditDonkey #1 recommended partner for the best online experience. The majority of the jewelry shops are on Washington Street, with a few scattered on nearby blocks. There is also a famous Jewelers Exchange Building (at 333 Washington St.), where you'll find over 100 jewelers - many of whom are small family businesses - under one roof. Boston has always been an important, New England cultural center. And Washington Street was where people came to find all the latest in fashion and jewelry. Today, the trendy Downtown area is a hotspot for shopping, dining, the arts, and nightlife. By Metro: It's super easy to get to Downtown by public transit. Now, it’s no secret that we’re huge advocates of shopping for an engagement ring online. But we understand that you may want to look at some diamonds in person. Plus, it’s fun to go around to the different stores and try on different styles (okay, maybe this is just fun for girls). The number 1 rule is to never go unprepared. You don’t have to walk into a store an expert, but if you sound like a total newbie, you may as well have a huge red target painted on your forehead. Some stores will be only too happy to take advantage of your cluelessness. Learn about the 4C’s. To not get ripped off, it’s important you learn a little bit about diamonds and what drives diamond prices. This is a good place to start for beginners. We break down each C (carat, cut, color, and clarity) and explain its level of importance, what you should prioritize, and what you can “sacrifice.” We also show you how going up and down grade levels for each C affects the price of the diamond. Research pricing online first. Even if you want to buy your diamond from a store in person, start your search with online retailers first. Play around with different settings for each of the 4C’s to get an idea of how much a diamond costs with certain characteristics. James Allen and Blue Nile are both great places to start to get a feel for prices and what you can expect. Make a list of what stores to visit: There’s an overwhelming number of shops in the jewelry district. Some will be good and some not-so-good. You won’t have time to pop into each one or hope that you just randomly stumble into the perfect store. Do some research beforehand and read reviews. We’ve listed a few stores below, but you probably want to do your own research too in case you’re looking for something specific. Not sure where to start in the Boston Diamond District? Here are some top stores that have developed strong reputations for customer service and trustworthiness. Freedmen Jewelers (333 Washington St.): First established in 1945 and now into the 3rd generation, this family-owned jeweler is one of the oldest in the Jewelers Exchange. Over 70 years in business means that they have built their reputation by forming trusting, long-term relationships with customers. Their goal is to treat each customer as part of the family, no matter how large or small the purchase. All their diamonds are hand selected for the best cuts and GIA-certified. Boston Ring and Gem (333 Washington St.): There's a reason for BRAG's dozens of 5-star reviews. Sevag and Raffi are passionate jewelers and designers who specialize in custom design. Their diamonds are all hand-picked for the finest cuts, with the goal of fitting it perfectly into each custom piece. Their objective is to give each customer a beautiful ring to BRAG about. Skylight Jewelers (44 School St.): If you are looking for something a bit more unique, Skylight may just fit the bill. This cozy little storefront is located about a block off Washington St. Spencer is the master jeweler and designer who will work with you every step of the way to achieve your dream ring. He specializes in custom designs with precious gemstones (and diamonds too, of course). He uses a range of modern, traditional, and ancient techniques to create truly exquisite rings. So now comes the fun part: going shopping. Do not ever feel pressured into making a purchase. And do not ever feel uncertain about a diamond or the price. If you had spent some time learning about the 4C’s and diamond prices, then you should have some idea of what to expect. If you’re at a store and feel like the salesperson is pushing the hard sell or is using shady tactics (such as “This awesome deal only lasts today. Normally the price is $XXXX, so I’m giving you a good deal!”), then walk out. You should always feel comfortable and happy about the purchase. And deals on diamonds don’t exist. Ask to examine the diamond. A good store will let you examine the diamond with a professional jeweler’s loupe and even light performance tools. If a store does not let you examine and compare diamonds and claim that their diamond is high-quality without any proof, that doesn’t sound very trustworthy. Take your business to another store who does not try to hide information. Make sure you get a certification from a reliable lab. We recommend only buying diamonds graded by GIA or AGS, as these two labs have the highest standards, and more importantly, are reliable. Other labs may not grade to the same standards. So a diamond graded as having a color of H by one lab may in actuality only be a J by GIA or AGS. Understand the store refund policy and warranties. A lot of stores will offer a full refund within 14-30 days. But some stores may only offer store credit (which is useless, because why would you spend your money there again if you didn’t like it the first time around?). Be very, very clear about the store’s policy before handing over any money. Also ask about their other policies such as warranty and diamond trade-up. Use a credit card for purchase protection. We don’t mean that you should charge the ring if you don’t have the cash (because ideally, you should only spend what you can afford). But a credit card does give you certain protections, such as if the item you received is not what was promised. Get a receipt and have all agreements/policies written down. This is very important. After you have made a purchase, make sure the receipt clearly states the store name, address, item, purchase amount, and date of purchase. In addition to that, have the store rep write down all verbal agreements and the refund policy, just in case a less-than-reputable store tries to go back on its word later. We’re not going to lie and say that shopping at a diamond district (anywhere) will be completely stress-free. But if you do your homework beforehand, you’ll have an easier time. We cannot stress it enough: research, research, and research. Learn about the 4C’s and diamond prices, and read reviews of stores you may want to visit. Just remember, you should feel comfortable every step of the way. Don’t ever feel like you’re being pressured. If a salesperson is making you tense, just walk out. There are hundreds of other stores you can visit instead. We hope we gave you a good starting point in our shortlist. And lastly, are the prices at the Boston Diamond District really cheaper? In our opinion, not really. Of course they’re cheaper than prestigious branded stores, but for the most part, prices are on a par with online stores such as James Allen. So if you like being able to look at diamonds in person, you may find better prices compared to high-end stores, but don’t expect outrageous deals either. Thinking of proposing? Buying an engagement ring is intimidating, but this brilliant guide makes it easy. Learn how to buy the perfect diamond ring WITHOUT going broke. 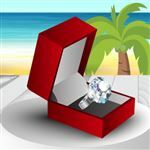 Share on Facebook "Diamond District Boston: How to Save on Engagement Ring"